There are many options for activities on the grounds of Eco Lodge Itororó and in this region of southeast Brazil. The Três Picos State Park is just 30 minutes away. Atlantic Rainforest, Mountains and High Altitude Fields are easily reached in less than one hour. The region is considered to be one of Brazil’s best for hiking, birdwatching and photography, with the entire elevational aspect of the surrounding Organ Mountain Range to be discovered. You can explore on your own or join one of our tours. On and around the grounds of the Eco Lodge Itororó there are many hiking options, beautiful mountains with amazing views and sceneries. 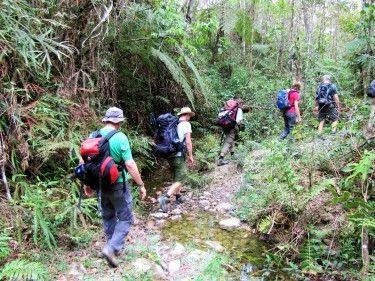 Hiking through the Atlantic Rainforest or crossing the Organ Mountain Range and much more. All hiking difficulty levels. 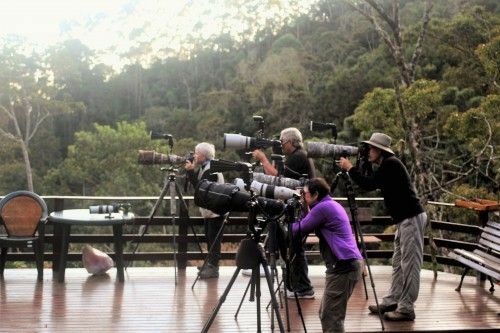 In conjunction with Itororo Lodge, Serra dos Tucanos Birding Tours is happy to be able to offer guests guidedbirding tours in the Atlantic Rain Forest. We have been running tours in this region for over 15 years, during this time we have gained a wealth of knowledgeof the local birds including calls, seasonal movements, breeding sites and stake outs for particularly soughtafter species. Having spent countless hours in the field we are extremely knowledgeable and experienced in ensuringthat our clients have a great time and see numerous species of birds well, including many of the rarities and endemics. If you are an experienced birder or a beginner, we can offer you a great birding experience as we offer daytrips that cover the whole elevational aspect of the surrounding Serra do Mar Mountains. For further details of the birds of the Atlantic forest or the tours that we offer please visit Serra dos Tucanos Birding Tours.